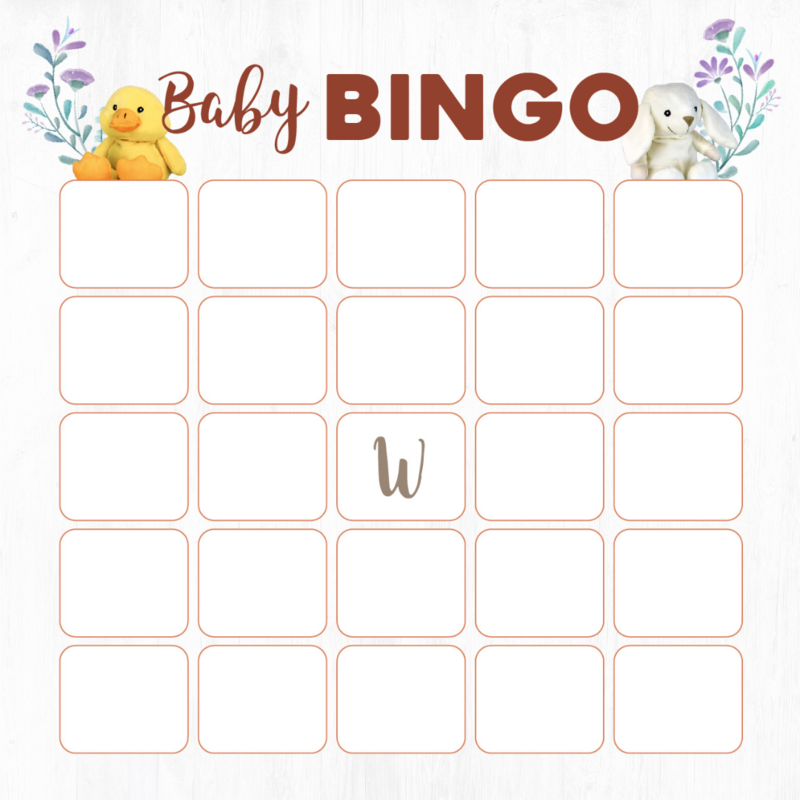 CONGRATS- Grab your free downloadable baby shower games below! All you have to do is click the download now button and it's ready to print! 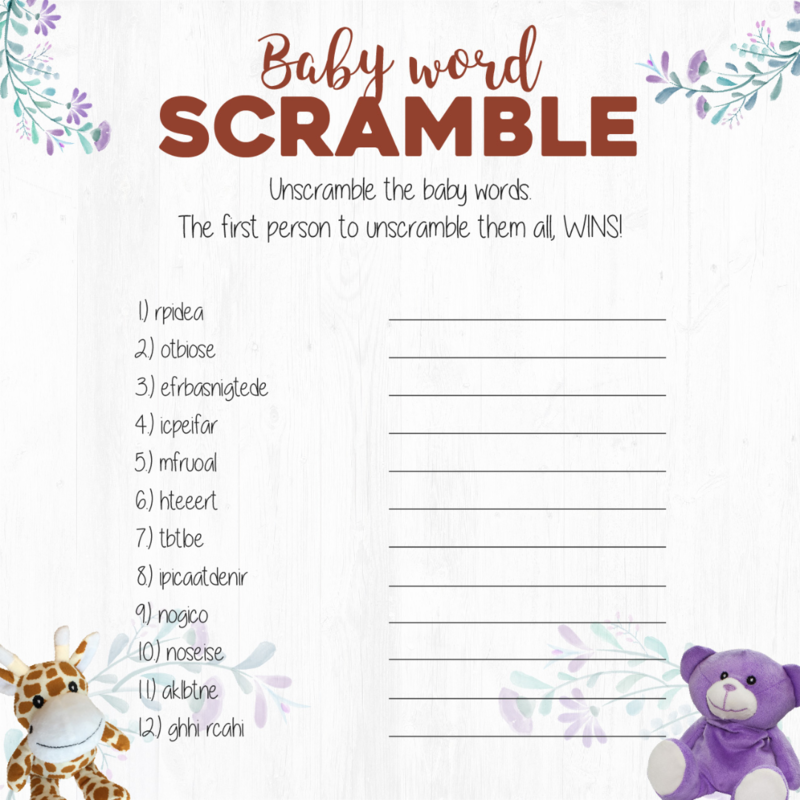 A fun baby shower game that will have your guests racing to see who can unscramble the baby and pregnancy-related words first. Write something fun or encouraging to give to mom or dad as a little pick me up in the "wee" hours of the night. The best way to make gift time fun for everyone! 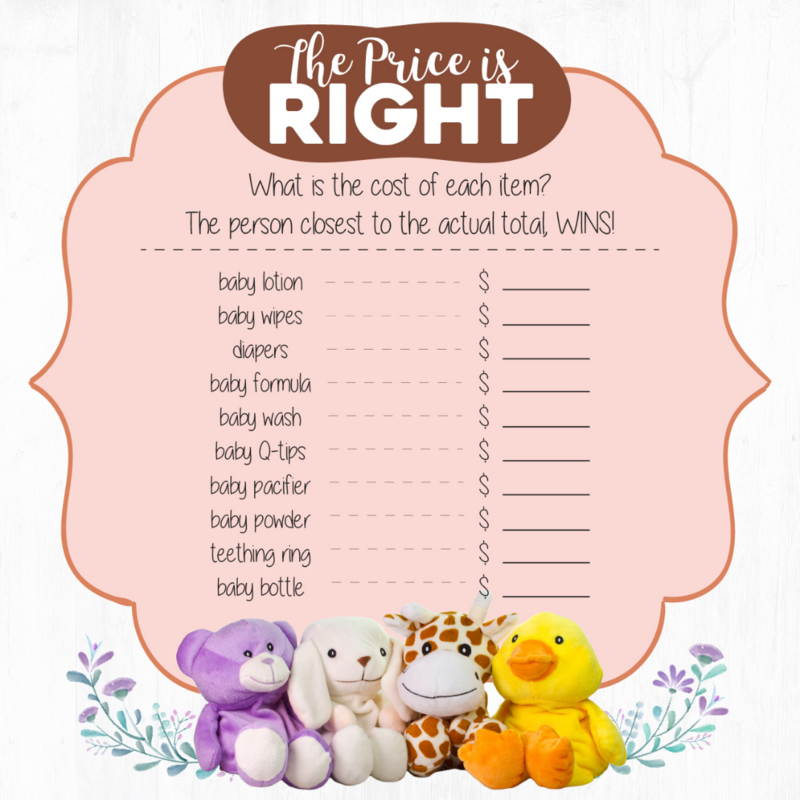 Enter items from the mom-to-be’s registry into this game, then have guests guess the prices of each item. Whoever’s closest to the actual prices wins! 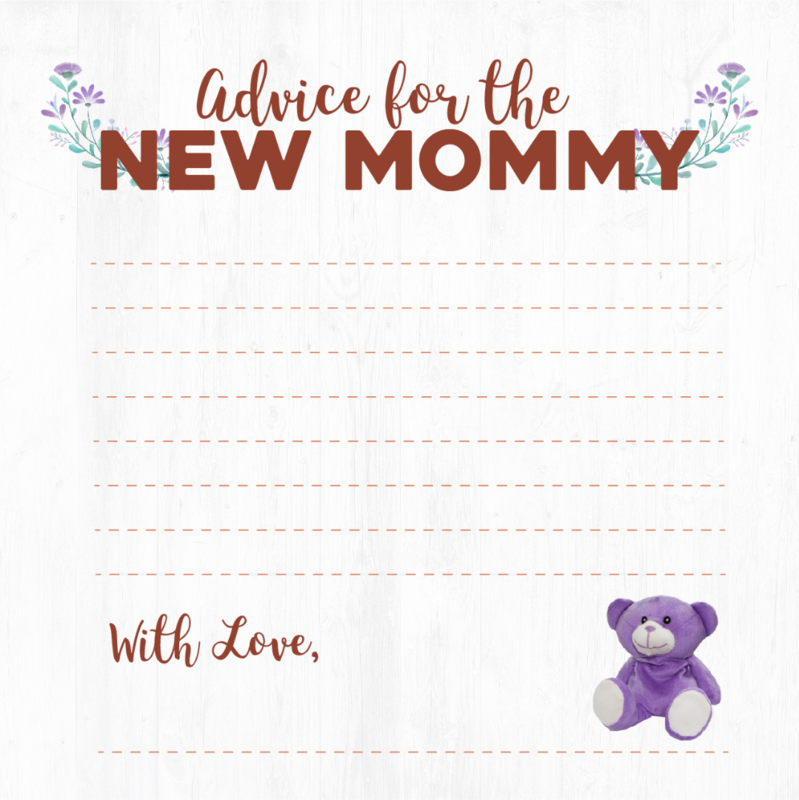 ©2018 WildBaby.com - A Terran, LLC online store. Packed with love from sunny Escondido, CA at 2235 Enterprise St. Suite 160, Escondido, CA 92029. All prices are in USD.